Have you ever been into a situation where you moved into a new house or apartment, only to find out that the power switches in a room doesn’t work the way you want it to? In today’s era of smart home automation fixtures, hopping onto the smart home bandwagon is a bit tedious when things don’t usually work out the way you expect them – especially in terms of deploying your favorite appliances to work in a flip of the switch. Moreover, there are huge costs in doing so, say you wanted to hire a professional to fix everything up. But a simple solution to this dilemma can help you save up on home automation costs, bringing a clever workaround for starting your smart home. With the switchflip, you can set room switches to instantly turn up your lights and home appliances without the need for a central wireless hub or complicated setups. Talk about smart switches made simple. In three basic steps that anyone can do, switchflip offers a simpler alternative to many smart home automation solutions. 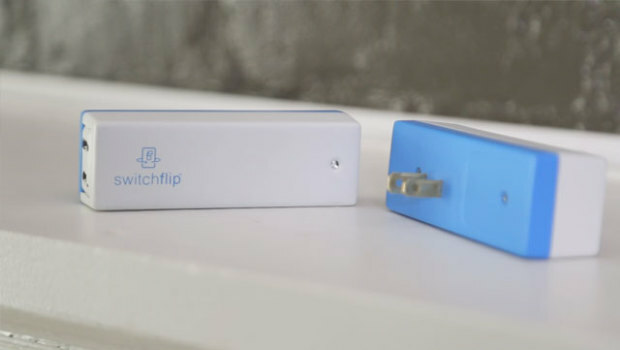 The switchflip package is made up of two elements: a transmitter which plugs into a switch-controlled power outlet, and a receiver which is directly connected to the transmitter via a proprietary wireless connection and receives command to turn on anything you plug in it by the flip of a switch. 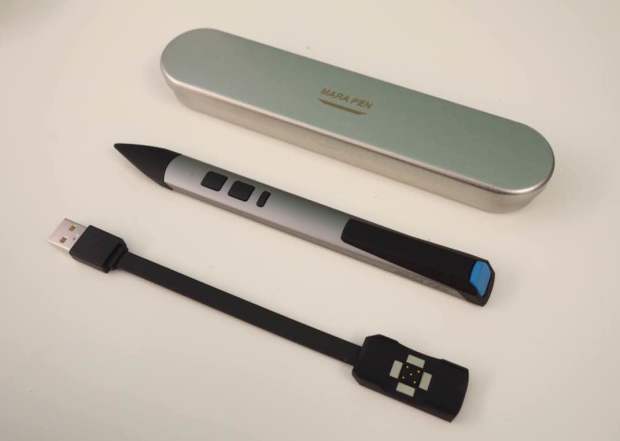 This smart device essentially removes all unnecessary steps to automate your appliances – it only takes plugging the two parts in and flipping the switch. Say you wanted to control your bedside lamp with the main room switch. All you ever need to do that is to plug the lamp into the receiver, and it will instantly turn on when you flip the switch right as you enter the room – this makes it perfect for utmost convenience and control with your non-connected devices. 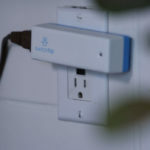 As switchflip is made up of two parts, they are pre-configured to be linked with each other out of the box – there are no apps to download and set it up, or even the need to hook it up with a Wi-Fi connection. The wireless connection between the transmitter and the receiver works with distances up to 100 feet, so you can deploy them in between rooms and certain house areas without a glitch. 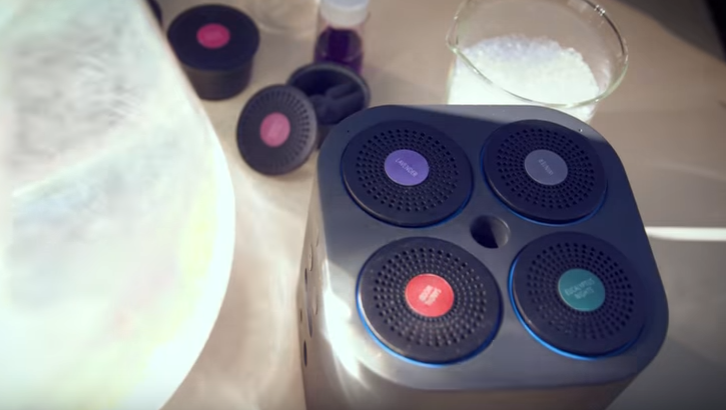 Want to take the switchflip functionality in all rooms of your home? Take multiple pairs of switchflip transmitters and receivers and plug them in every room you want to automate. There are no limits to the number of switchflip units you can install – as long as there is a room that has a switch-controlled power outlet, you are good to go. 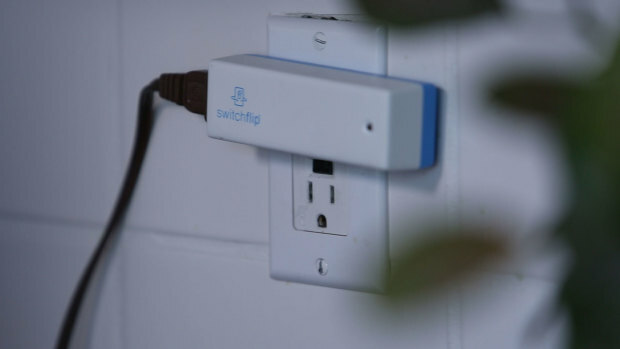 You can finally say goodbye to messy extension cords and costly electrical rewiring costs – switchflip offers a simple and minimalist approach to making your home devices smarter, along with the convenience of a flip switch control for any home appliance or lighting.